A simple dotticure playing with textured nail polish. I find that doing polka dots is so easy and cute especially when I didn't have any ideas what I was going to do. 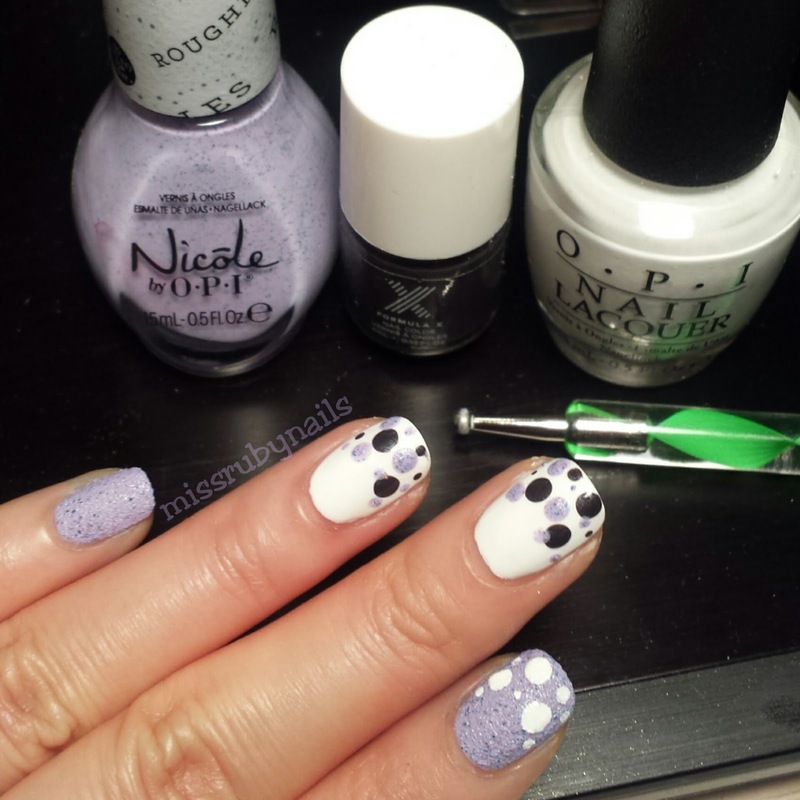 I first painted the base with 2 coats of the lilac textured polish by Nicole by OPI and a white polish on the 3rd and 4th finger nails. 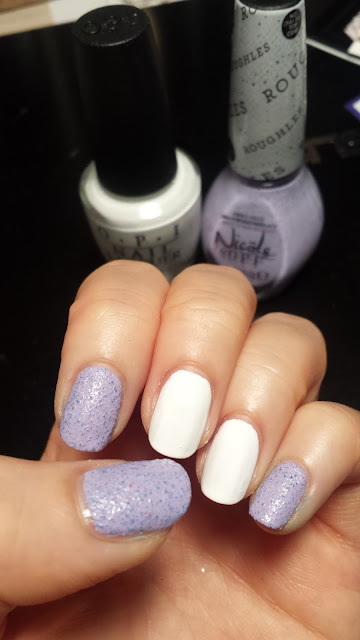 Click HERE for a short review of this texture polish in teal color! 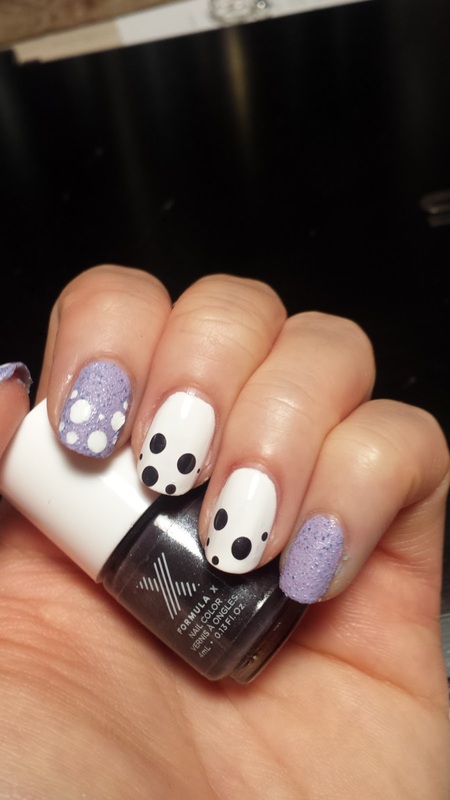 Then I used a dark grey polish to paint some polka dots in different sizes on the white nails and used the white polish to make dots on the lilac nails. 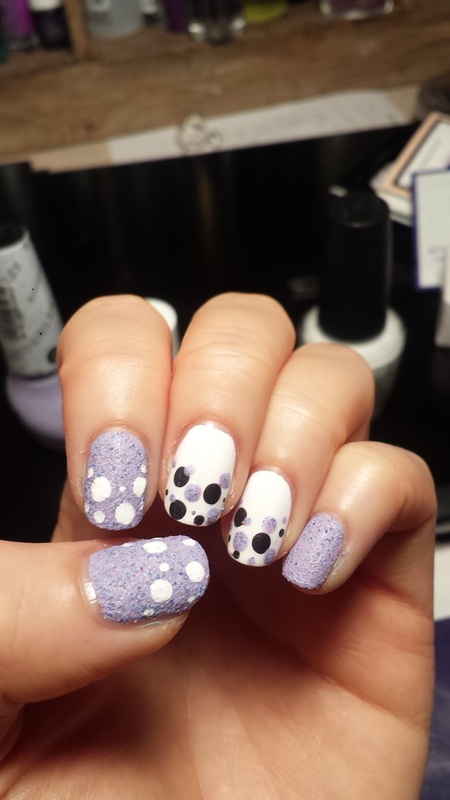 Make sure the polish that you are making dots with is opaque enough in one coat so you don't have to go back and dot again! 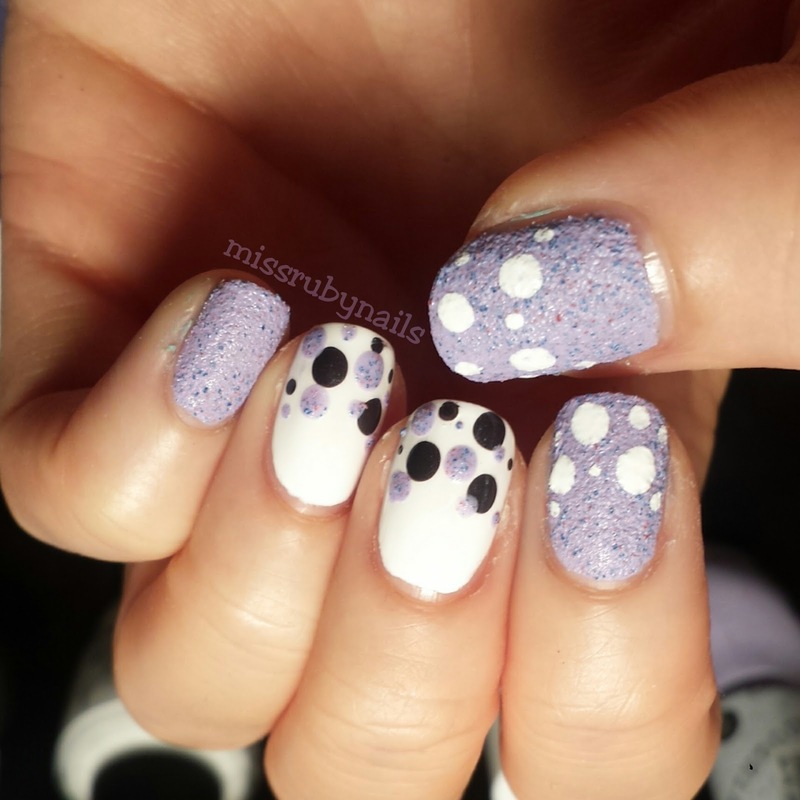 After these dots had dried, I used the lilac again to make more dots on the white nails and overlapping some dots to make it look more random. 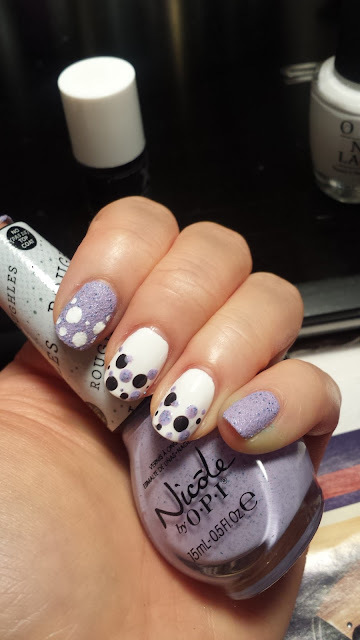 I only applied top coat on the 2 white nails as I did not want to cover the textured lilac polish with a top coat.